There have been many times over the years when a friend has suggested I purchase a game that I was wary about, either because they thought the story was incredible or that the multiplayer was the best they had ever played. So, I would go ahead and purchase the game, thinking I would really enjoy it. But not 1 minute in would I realize that I had just wasted $60 on something that I will probably only play for 10 minutes, and then never touch it again. But all that is about to change with the release of PlayStation 4 System Update 2.0. With this update, Sony is giving players a feature they have talked about since the console was first announced: the ability to share games with your PlayStation Network friends over the internet, called Share Play. 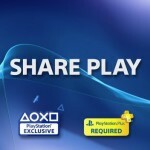 With Share Play, you no longer have to ask yourself if you will truly like the game you are about to buy. Using the PlayStation Network, you have the ability to join a party with a friend, and from there they can choose to let you watch them play their game, give you control of their game, or entire a local multiplayer match if the game has that feature, all with zero downloads and installs for the visiting player. Setting up Share Play is fairly simple, but there are a few things you should know before you get started. You must be PlayStation Network friends with the person you want to use Share Play with. You and your friend must both be online throughout the entire session. The hosting player must be a PlayStation Plus member. 2 is the maximum number of people who can be in a session. Just you and one friend. Each session last 60 minutes from the moment the session is started. Game can be either a physical disk or a digital copy. 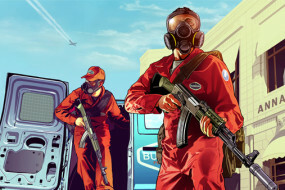 The visiting player doesn’t need to own or have the game installed on their system. The host is the only player who will earn trophies, regardless if the visitor was playing at the time the trophy was acquired. Only the player hosting the session will be able to save the game. The visiting player only has control over the game. They can’t go into any of the hosting player’s PlayStation menus. Now that we have that out of the way, you are ready to start using Share Play. First, boot up the game you want to use for Share Play. The only game that I have heard that doesn’t support Share Play at this time is Call of Duty: Advanced Warfare. Once you have loaded into the game, invite the person you want to use Share Play with to a party. When the player has joined your party, you can either go into the party menu, hit the “Share Play” button, and the session will start. Or from anywhere you can hit the “Share” button, hit the button all the way to the right called “Share Play”, and it will start streaming to the visiting player’s PlayStation 4 system. Congratulations, you have just started your first Share Play session! From within the session, you can do a number of things. The visitor can just watch you play, kind of like watching a stream on Twitch. Or, you can hand them the controller by pressing the “Share” button, going all the way to the right and press the “Go to party for Share Play” button. From there, you must select the option called “Give Controller to Visitor”. After you have selected that option, you are given two possible things you could do. The top selection will allow you to give the visiting player the ability to play your game from their console, and the other option is to play a local multiplayer match, if the game has multiplayer support. With its quick response time and supported by almost every PlayStation 4 game released so far, it is without question that Share Play is going to be one of the most popular features of this console generation. PlayStation 4 System Software Update 2.0 was released October 28, 2014. A smaller update, Update 2.0.1, was released November 5th, 2014 to fix issues brought on from the 2.0 update.